Come share your work in an informal, welcoming and constructive gathering with fellow writers- all genres welcome!! Teacher-as-Writer Workshops are monthly gatherings for Teacher Consultants and other Connecticut teachers who wish to share and receive feedback on their writing. We also hold one writing retreat in the spring. The Connecticut Writing Project will be holding a writing workshop 10am to 12pm in the Stern Lounge on the second floor of the Austin Building . All writers are invited to join us. The past Writers’ Retreats have produced every type of writing, from personal narrative to fiction and poetry. The main goal of the retreat is to provide overworked teachers the much needed time and space to pursue their art. The agenda, therefore, is open. The Writing Retreat weekends have all been very special. We look forward to seeing old friends and new. Please note: Participants in the Writing Retreat are encouraged to submit writing to the Teacher-Consultant writing contest in the fall and are also eligible to have a piece of writing published in the Teacher-Writer magazine in the Teacher-as-Writer & Writers Retreat Contributions. Link this to Teacher-Writer. Please RSVP to Danielle Pieratti, the Writing Program’s Leader, at dpieratti@swindsor.k12.ct.us. Danielle Pieratti teaches English at South Windsor High School. 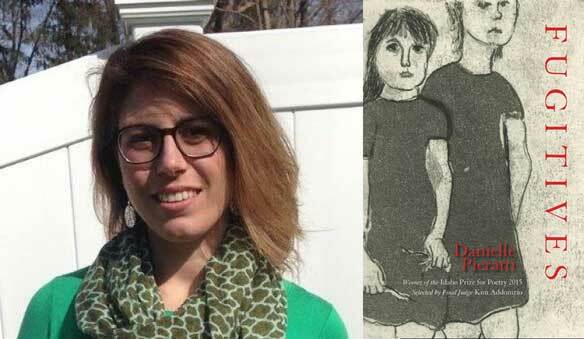 Her first book, Fugitives, was selected by Kim Addonizio for the Idaho Prize in poetry, and was published by Lost Horse Press in 2016. It was also nominated for the 2017 CT Book Awards.